the legend finally comes back to us by kicking off his 5 city Asia Tour in Kuala Lumpur. 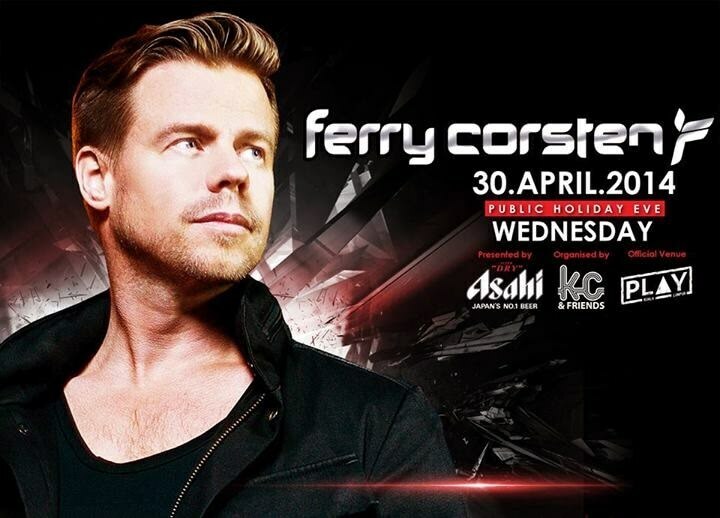 Known by all EDM lovers in general, its no surprise that Ferry Corsten is regularly ranked as one of the top 10DJs in the world. Corsten has produced and remixed for U2, Moby, Faithless, The Killers, William Orbit, Duran Duran, Public Enemy, Nelly Furtado and many others. With 7 full length albums under his belt, EXPECT hit singles such as “BRUTE w/ Armin Van Buuren, Punk, Made Of Love” to all his new recent hits which have been getting heavy airplay worldwide. For Ferry Corsten, the possibilities are boundless. ~~ Asahi Beer served at RM 10 all night long! On Point Entertainment proudly presents BOOM!